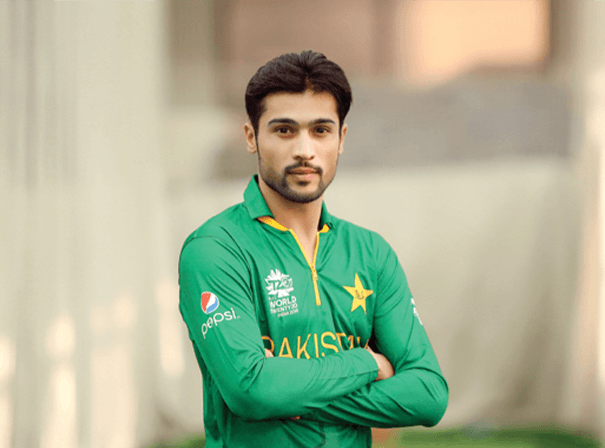 Mohammad Amir is a professional Pakistani cricketer who is well known on the world stage. Following in the footsteps of the legendary Wasim Akram, he is a smart bowler who bowls at a ferocious pace and as well as being a left arm pace man is also a left arm batsmen who makes a big mark on every match he plays despite his young age. Amir first rose to fame as part of the Under 19 Pakistan tour to England where he went on to secure an average of 16.37. He impressed in a Tri-Nations tournament at that age and established himself as an essential talent ready to go to the next level. He soon went to that next level when he played his first season in Pakistani domestic cricket and secured no fewer than 55 wickets for National Bank of Pakistan. As such he quickly stepped up to the next level and played in the 2009 T20 world cup. Amir was also selected to play for his country in the One Day International format of the game and his solid technique saw him turn out many fine performances. In fact, he made history against New Zealand at Abu Dhabi when he knocked the highest score ever for a No.10 batsman in a One Day game. In the test format, Amir was just as solid and toured with his side to Australia and India, excelling throughout. His first ever five wicket haul came against Australia at the Oval in 2010 and helped his side to an historic victory. A true star of the modern game with many year ahead of him, Amir is a popular cricketing figure who has lots of motivational speaking skills.